Anne and George moved into a suite at Whitehall Palace, and it appeared that they were remarkably compatible. At George’s funeral 25 years later, it was said, “Never did a happier pair come together.” George became noted for his marital fidelity. Anne began setting up her household with the Countess of Clarendon and Sarah Jennings, later Churchill, as ladies-in-waiting. Anne would become devoted to Sarah. “The Princess used to say She desired to possess her wholly and could hardly bear that Sarah should ever escape into another company.” If Sarah returned these affections is up for discussion as her letters to Anne were burned. If Anne had sexual feelings for Sarah, we do not know for sure, though Sarah herself later insinuated that Anne had lesbian tendencies and had a physical relationship with her dresser, Abigail Masham. Anne had wished to visit her sister in the Netherlands, but this was denied her by her father. Nevertheless, the two corresponded in secret. On 22 October 1687, Anne went into premature labour and gave birth to a stillborn son. This year had taken a terrible toll on Anne. By March 1688, another pregnancy was announced for Anne but this too ended in a miscarriage the following month. As soon as she was well enough to travel, she went to Bath to take the waters. While Anne was away, her stepmother gave birth to a healthy son, who would now supercede both Mary and Anne in the succession. Anne was convinced that her stepmother had not really been pregnant and that a child had been smuggled into the bedchamber. A Catholic heir was most undesired, and Anne received word that her brother-in-law intended to invade England. James was shocked and in disbelief that his daughters could be disloyal to him. The Glorious Revolution (more on that later!) caused James to abandon his throne and Anne’s sister Mary and her brother-in-law William were proclaimed joint monarchs. 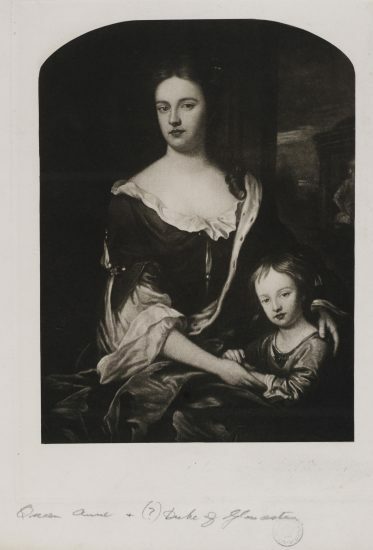 Anne and George would insist that they did not agree to make William King for life as this would infringe upon Anne’s rights but later Anne decided not to stand in the way, “for the good of the Kingdom.” On 24 July 1689, Anne gave birth to a son with her sister by her side. He was named William and given the title Duke of Gloucester. He was not expected to live long after he suffered “convulsion fits” at just six weeks old. He lived but continued to suffer from arrested hydrocephalus or water on the brain. On 14 October 1690, Anne “was delivered of a daughter which lived about two hours and was christened and buried privately in Westminster Abbey.” It is thought the child was at least two months premature. Two years later, she once again gave birth at seven months. The boy was born alive but died within minutes, and Anne wrote to her sister that she was much worse than she used to be. By the end of the year, Anne was pregnant again, but by March she was seriously ill. On 24 March, she “miscarried of a dead daughter.” By August, she was again pregnant, but she wrote to Sarah, “I do not intend to mind myself any more than when I am sure I am not with child.” On 21 January 1694, Anne “miscarried of a dead child.” Perhaps fearing she had been too active, she remained indoors to prevent another miscarriage. Then her sister fell ill at the end of the year. Anne was desperate to see her sister, but Mary would not see her. Mary died on 28 December 1694 from smallpox, declaring, “she had nothing in her heart against her sister and that she greatly loved the Duke of Gloucester.” Anne would now have succeeded her sister as Queen if she had not agreed to William being King for life. He now ruled on his own. On 20 February 1696, Anne was delivered of a stillborn daughter. Within weeks, she was pregnant again, but on 20 September her hopes were crushed when she “miscarried of a prince.” This may have been a twin pregnancy as one source later states that there were two foetuses of different gestations. She made a swift recovery and was fit enough to dance at a ball for the King. On 25 March 1697, she suffered yet another miscarriage, and this endless cycle of hope and desperation must have made Anne suffer terribly. On 2 December 1697, she had a miscarriage of “two male children, at least as far as could be recognised.” She was “as well as she possibly can be in such a state.” At the end of June 1698, Anne was again pregnant, and she did everything she could to look after herself. She kept to her rooms and tried remedies and powders. Yet again, she was delivered of a stillborn son on 15 September 1698. A diplomate wrote, “A calamity of this kind, after so many precautions, creates fears that Madame la Princesse will not have children in the future.” In the late summer of 1699, Anne was once more pregnant. It was to be her last pregnancy. On 25 January 1700, Anne was delivered of a stillborn son, who had been “dead in her a month.” She was still only 35 years old, but her overall health was appalling. Anne now focussed all her hopes on her only surviving child, the Duke of Gloucester. The 11-year-old Duke of Gloucester began to complain of feeling out of sorts on the evening of his birthday. He then developed a severe headache and became hot and feverish. After being bled, he made a slight improvement, but during the night he had an attack of diarrhoea and he developed a rash. The treatments made sure that the Duke of Gloucester had little rest at all. Meanwhile, Anne had not left her son’s bedside. She collapsed on Sunday. On Monday, he suddenly deteriorated and was “taken with a convulsing sort of breathing, a defect in swallowing and a total deprivation of all sense, which lasted for about an hour.” He died at one in the morning on 30 July 1700. 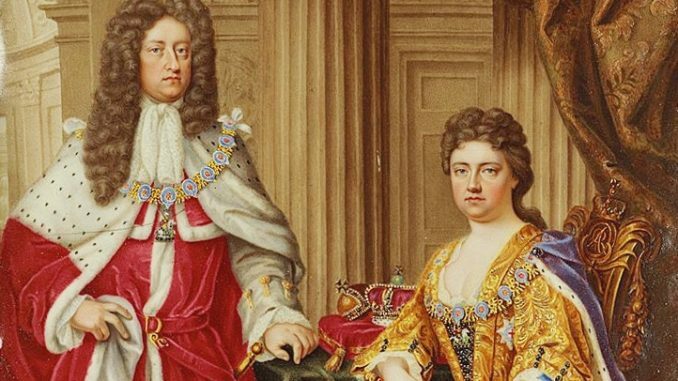 Anne “bore his death with a resignation and piety that were indeed very singular.” Anne and George would see nobody but the Earl and Countess of Marlborough and spent most of their time together, reading A Christian’s Defence Against the Fear of Death. 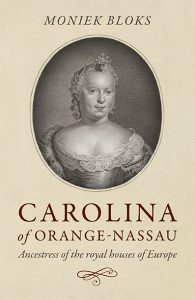 Eventually, the succession was settled on Sophia of Hanover, a granddaughter of King James I.